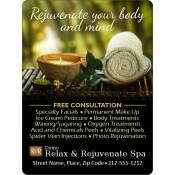 Resort and spa magnets make favorable promotional choice for resort and spa services. These refrigerator promotional magnets offer competitive advantage due to their size, design and quality. 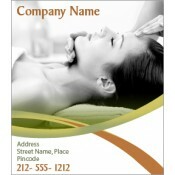 Visually appealing hotel and resort magnets are sure to grab long face time over refrigerator doors or other ferrous surfaces due to their uniqueness. 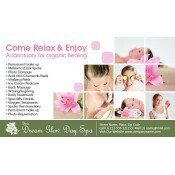 These spa and resort magnets are perfect for bulk mailing because being lightweight they can be sent in envelopes. With clouds of financial insecurity hovering over, people are hesitant to spend on holidays. At the same time, their expectations are soaring about facilities and luxuries of a resort or hotel. This has driven many resorts to offer additional rejuvenation and relaxing facilities through spas. However, these resorts understand that installing a spa is not everything and they have to work hard to attract joy seekers. 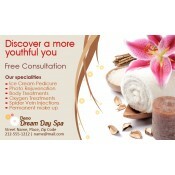 Our resort and spa magnets aid such businesses to attract quality customers. Resort and spa services can avail of our customized magnets for marketing their services during travel expos, tradeshows, business conventions or other events. In addition, they can gift it to the guest leaving their premises after the stay. 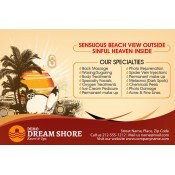 Our current selection of resort and spa fridge magnets feature designs over rectangle and square magnets. We can also create it over oval magnets, circle magnets or other shaped magnets depending on the requirements. We offer free full color printing on all of our promotional magnets which allow marketers to go creative with their choice of colors. They can easily stay committed to their branding strategy and imprint their information in as many colors as they want. We offer free online design proof, free art setup, free shipping and more with all our products. 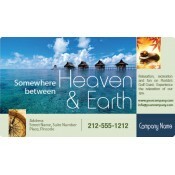 To know more about any of our hotel and resort magnets, feel free to info@CMagnets.com or 855-762-4638 (Toll Free).